A timeless classic our roman blinds are available in several modes of operation including cord operated, chain operated and motorised. 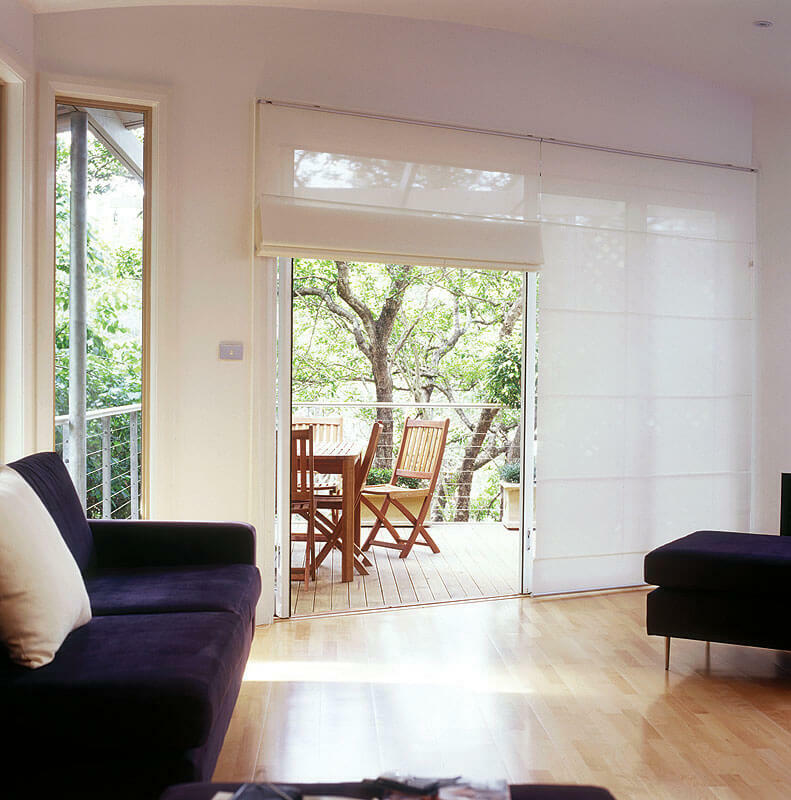 Roman blinds are available with exposed or hidden battening to suit any home. Roman blinds can be styled to suit the most contemporary home right through to traditional and classic homes. Our soft romans allow you to use virtually any curtain fabric to produce a luxurious custom blind custom made for your home. 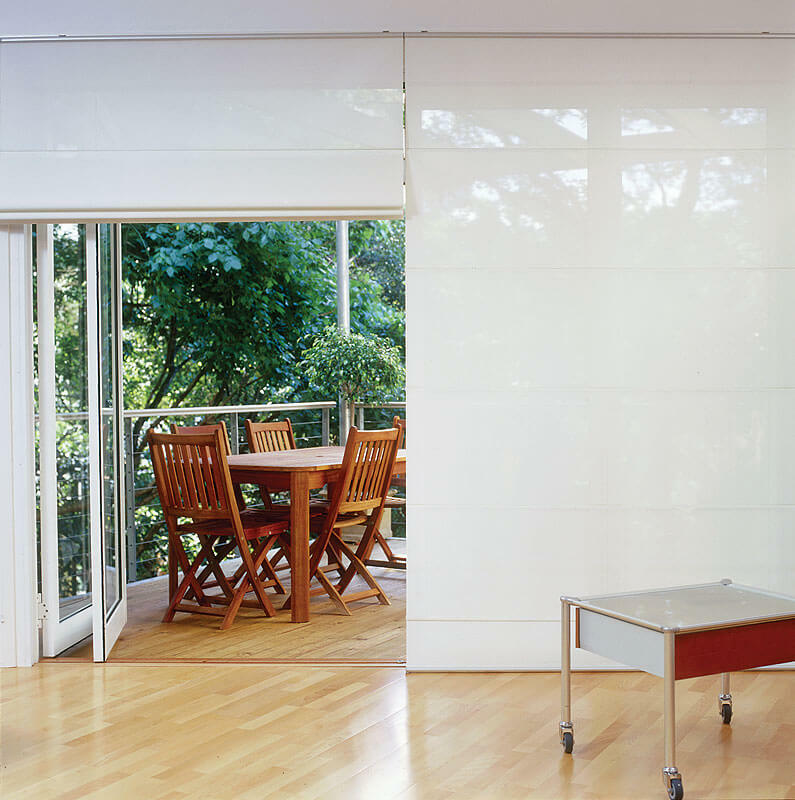 Our roman blind systems are available in a range of roller blind fabrics, so you can have sheer, translucent, block out options and matching roller blinds. The Classique Roman is a cord operated blind that has an attractive soft pelmet covering the blind controls. The pulley and lock is simple and easy to use and our most cost effective roman system. The Mirage Roman is a rope and pulley system with a rear operated cord. This eliminates the need for the fabric pelmet and provides a cleaner and simpler look whilst still benefitting from the cost advantage or our cord lock system. The Urbane Roman is our premium roman system utilising a geared stainless steel chain system, making the blind ultra-light and easy to use. 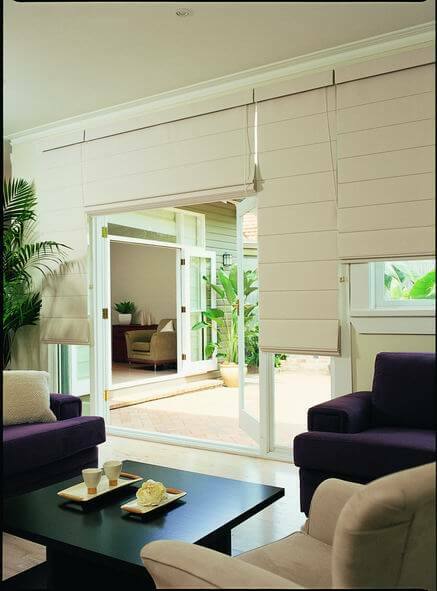 The Urbane is simple in its look with hidden non-sewn battens, meaning no pin holes or light bleed through the fabric. This chain operated roman will last a lifetime and has a range of base rail options including our cushioned ellipse base rail or a fabric wrapped base rail for those that prefer a matched base rail. Our roman systems are fitted with child safe cleats and our Urbane Roman comes with our premium child safe tensioning device. 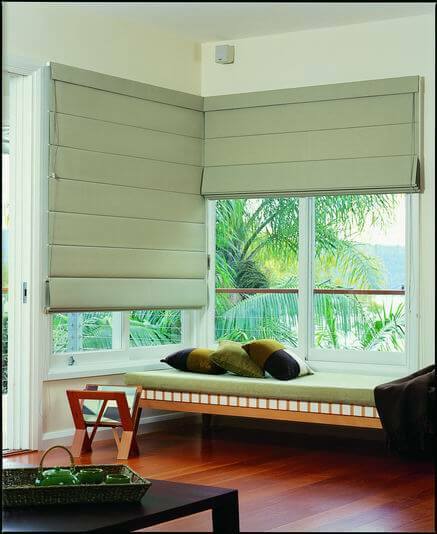 Call 1300 668 493 or visit our blinds page for more information about our full range of products.